The Panasonic Lumix FZ70 / FZ72 raises the bar once again for super-zooms with a massive 60x optical zoom. Panasonic has stuck with the same 24x zoom lens for several generations of its FZ range, so perhaps it's not surprising that they've leapfrogged the competition so spectacularly. What may surprise many is that rather than extend the maximum telephoto over what's currently available from Canon, Sony and Fujifilm, the Lumix FZ70 / FZ72 adds the extra range all to the wide angle end with an ultra-wide 20mm equivalent focal length. This is a pretty smart move as that 4mm on the wide angle end is actually a lot more useful and makes a much bigger difference than 240mm on the telephoto, particularly given the availability of an optional 1.7x teleconverter lens. The Panasonic Lumix FZ72, or FZ70 as it’s known in North America, is a super-zoom camera with a 16.1 Megapixel compact sensor and a whopping 60x stabilised optical zoom. That’s the longest zoom range currently available on a compact camera, so in a single bound Panasonic has leapt over the competition including Canon’s best-selling PowerShot SX50 HS and Sony’s Cyber-shot HX300, both of which sport lenses with a ‘mere’ 50x optical zoom. Announced in July 2013, the new model fits into the FZ product line-up between the flagship FZ200 and the FZ60 / FZ62 with a zoom range more than double those models’ 24x range and significantly outreaching the other recent Lumix introduction, the budget 35x LZ30. The new mega-zoom will be received with joy and relief in equal measure from Panasonic followers, many of whom must have been wondering whether the company had given up the race for extended zooms on its FZ range. The new lens has range that starts at an ultra-wide 20mm equivalent, extending to 1200mm at the telephoto end and a maximum aperture of f2.8-5.9. The big zoom is clearly the headline feature on the FZ70 / FZ72, but it has plenty of other features worth talking about. There’s a fixed 3in 460k dot LCD screen and a 0.2in electronic viewfinder, built-in flash and hot shoe, and twin stereo microphones with a built-in windshield to reduce wind noise. Continuous shooting is possible at 5fps with AF and 9fps with the focus and exposure fixed on the first frame and there’s a raft of video modes with both AVCHD and MP4 encoding offering both 1080i50 and 1080p25 modes among others. Impressively the FZ70 / FZ72 also allows you to record RAW files, a move no doubt to match the SX50 HS. When Canon launched the PowerShot SX50 HS in September 2012 it was the World’s first camera with a 50x optical zoom. Since then several other manufacturers have followed suit and the Lumix FZ70 / FZ72 is not short of similarly-priced competition. As well as the year-old PowerShot SX50 HS, I’ve tested the Lumix FZ70 / FZ72 alongside Nikon’s latest super-zoom, the 42x P520. 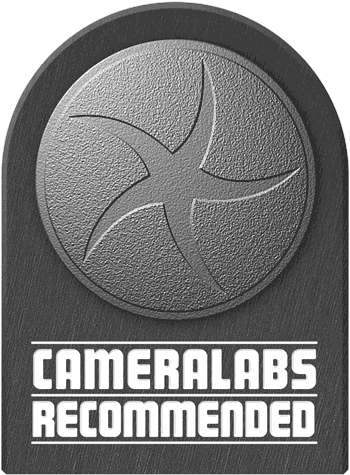 All three of these models are closely matched in terms of price and offer long zoom ranges, but beyond that there are numerous differences in handling, features and specifications that could make the difference between a camera that’s merely adequate and one you love shooting with. Read my full review to discover which of the three is the best all-round super-zoom for you. With a 60x zoom, the expectation is that the Panasonic Lumix FZ70 / FZ72 is going to be the biggest and heaviest FZ model to date and while I’d love to able to say that Panasonic has pulled off a minor miracle and squeezed the massive zoom into a more compact frame, that isn’t the case. Measuring 130 x 97 x 118mm the FZ70 / FZ72 is an altogether chunkier handful than the Flagship Lumix FZ200 which measures 125 x 87 x 110mm. As you can see from the dimensions, the FZ70 / FZ72 is bigger all round, but it’s not like you can slip any of these models into your pocket and I doubt that too many people will be bothered by the additional bulk. There’s a similar difference between the FZ70 / FZ72 and the Powershot SX50 HS and Nikon P520 with respective dimensions of 123 x 92 x 108mm and 125 x 84 x 102mm. Take a close look at those dimensions though and you’ll see that another picture emerges. Where the FZ70 / FZ72 is bulky in its class, the Nikon COOLPIX P520 is tiny. So if the FZ70 / FZ72’s size is a turn off, the COOLPIX P520 will look like a very attractive alternative. The FZ70 / FZ72 weighs 606g with the battery and an SD card fitted, which compares with 595g for the PowerShot SX50 HS and 550g for the COOLPIX P520. The Lumix FZ200, incidentally, weighs 588g. So while it’s noticeably bigger, it doesn’t weigh significantly more than the competition. To put it in context, the 56g difference between the Lumix FZ70 / FZ72 and Nikon COOLPIX P520 is about the weight of a golf ball. The design is an evolution of the FZ body style with the same DSLR shape albeit slightly inflated, resulting in a larger, more comfortable grip with more space for controls on the top panel. The hump incorporating the built-in flash is bigger than on earlier models and is surmounted by a plastic grille that covers the wind shielded stereo mics, all located forward of the hot shoe. The only feature on the upper panel to the left of the hot shoe is a small flower-shaped array of holes for the mono speaker. The main controls are all located on the right side of the top panel. The mode dial has the familiar array of PASM modes, in addition to a dedicated movie mode position, one custom position, panorama, Scene, Creative and intelligent Auto positions. As on other FZ models the on/off switch is located below the mode dial. 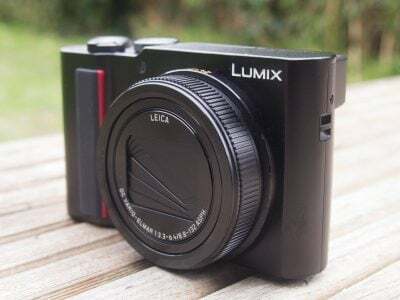 Though it’s moving to buttons on compact super-zoom models like the TZ35 / ZS25, Panasonic is sticking with its long-favoured switch for the FZ70 / FZ72, which means you can’t turn the camera on to review photos by pressing and holding the playback button alone. At the front of the grip is a nice big silver shutter release with a zoom collar surround. This is the only means of powering the zoom, the FZ70 / FZ72 lacks a secondary button on the lens barrel, as on the Nikon COOLPIX P520, which can be an advantage when trying to hold the camera steady at very long zoom magnifications. Moving back to the top of the grip, Panasonic has resisted the temptation to fill the new expanse of space with more buttons and in addition to the dedicated movie record button there’s a drive mode and focus button. On the back panel a mechanical button to the left of the electronic viewfinder pops up the flash; this is the only control on the camera operated with your left hand (aside from the dioptre adjustment for the viewfinder itself), which Panasonic clearly believes has only one job to do – that of supporting the lens. On the right side of the viewfinder, to the right of a button for toggling the screen and EVF and a programmable AF/AE lock button is the main command dial used for exposure control. In the area between the fixed screen and the elongated thumb pad are four buttons and a four-way controller; the topmost button toggles between AF, Macro AF and Manual focus modes, below that is the playback button then at the bottom are buttons for toggling the display overlays and the Q (uick) menu button which does double duty as a delete button. The four-way controller functions are ISO, White balance, and Self-timer with the nine o’clock position allocated to a programmable Fn2 button (Fn1 is the AF/macro/MF button mentioned above). While it might seem unconventional, as opposed to having a second Fn2 button with the focus modes on the four-way controller, this is the same setup as on the FZ60 / FZ62. Beneath a flap on the right side of the body you’l find a mini HDMI port for connecting to an HDTV and a combined USB / AV port for downloading photos and video and connecting to a standard definition TV via a composite video connector. The combined battery and card compartment is located in the grip and accessed by a door in the bottom of the camera. It’s compatible with SD, SDXC and SDHC cards and the FZ70 / FZ72 also provides a generous 200MB of built-in memory, enough for around 30 best quality images or over five minutes of VGA video. The FZ70 / FZ72 takes the same DMW-BMB9E battery as used in the FZ60 / FZ62 and the FZ47 / FZ48 before it, so if you’re thinking of upgrading to the longer zoom model from one of those you can use any spares you have. The BMB9E, physically quite a large battery, is rated at 895mAh and provides enough energy to power the FZ70 / FZ72 for 400 shots under CIPA conditions. That’s very generous and you’ll find yourself still shooting long after users of the Canon PowerShot SX500 HS, with a 315 shot limit, have had to replace their battery. With double the capacity of the Nikon COOLPIX P520’s 200 shot limit, the FZ70 / FZ72 looks even more impressive, but to be fair to the P520 its built-in GPS will be partly responsible for its relatively poor battery performance. Remaining battery life on the FZ70 / FZ72 is indicated by a crude, but effective three-segment graphic in the top right of the screen or viewfinder which turns red when battery power is running low. The FZ70 / FZ72 has a built-in flash which is activated by pressing a button on the top right of the rear panel. This operates a mechanical linkage which pops up the flash head. Physically, the flash assembly is much larger than on either the PowerShot SX50 HS or the COOLPIX P520. It’s hinged quite far back on either side of the hot shoe and consequently raises well above the lens, reducing the potential for red-eye and shadows on closer subjects. In the PASM exposure modes the flash can be fired automatically when the conditions require it, or forced on; there are also Auto/Red-eye and Slow Sync/Red-eye modes. The red-eye modes fire a pre-flash to narrow the subject’s pupils and there’s also software correction available from the Rec menu. The maximum distance quoted for the flash at the wide angle lens setting and with the ISO sensitivity set to Auto is 13.5 metres. That’s a pretty impressive performance, generally the built-in flash units on bridge cameras aren’t that powerful and are only intended for use with reasonably close subjects or for fill-in. The Nikon COOLPIX P520 and Canon PowerShot SX50 HS, with maximum flash distances of 8 metres and 5.5 metres respectively are more typical, but as the figures for these models are also quoted using the Auto ISO sensitivity setting its difficult to make meaningful comparisons. Assuming the figure is given for the maximum default Auto ISO value, which for all three models is 1600 ISO, it’s fair to assume that the FZ70 / FZ72’s flash does in fact deliver around twice as much power as the other two models. If you want a more powerful flash the FZ70 / FZ72 now provides the option to fit an external unit to its hot shoe. There are three Panasonic models available, the FL220, FL360 and FL500 with Guide Numbers of 22, 36 and 50 (Metres, 100 ISO) respectively. A nice upgrade over the FZ60 / FZ62. The Lumix FZ70 / FZ72 is equipped with the same fixed 3 inch 460k dot TFT LCD screen as the FZ60 / FZ62, and that model’s predecessor, the Lumix FZ47 / FZ48. The 3in diagonal and 3:2 aspect ratio remains the same as before, so there’s thin black bars to the sides of 4:3 shaped photos or above and below 16:9 frames. It’s a fine screen and provides a bright contrasty view with brightness control as well as contrast/saturation and even colour balance controls available from the Setup menu. The COOLPIX P520’s 3.2in 921k dot screen provides a crisper, more highly detailed view and Sony’s HX300 is also endowed with a 921k dot screen, but the PowerShot SX50 HS gets by with a 2.8 inch 460k dot screen and even Panasonicâ€™s FZ200 flagship super-zoom is equipped with a 460k dot screen. While it’s nice to have a slightly more detailed screen, it’s by no means essential. The lack of articulation is a different matter though. The PowerShot SX50 HS, Nikon COOLPIX P520, Sony Cyber-shot HX300 and Lumix FZ200 (though not the FZ60 / FZ62) all have something the FZ70 / FZ72 lacks and that’s a screen that can be folded out, up, down and forwards facing. While many may not even be aware of the respective resolutions flip-out screens are a feature people tend to feel strongly about, and most people are in favour of being able to angle the screen for easier viewing from low and high positions a well as keeping it out of the sun. Even if you’re not that bothered about being able to flip the screen, the side-hinged screens of the PowerShot SX50 HS and COOLPIX P520 can be turned inwards for protection when you’re not using them. Of course the LCD screen isn’t the only, or possibly even the best way to compose shots on the Lumix FZ70 / FZ72 which inherits the same 0.2 inch 201k pixel, 100 percent view EVF of the FZ60 / FZ62. That’ll come as a bit of a disappointment for those who were hoping for the higher resolution 1.3 million pixel EVF fitted in the FZ200, but that would of course have bumped up the price of the FZ70 / FZ72 as well as bringing it too close for Panasonic’s comfort to the physical specification of its flagship super-zoom, while at the same time out-zooming it with more than twice the range. In terms of its specification, the FZ70 / FZ72’s EVF is in fact very similar to both the PowerShot SX50 HS and COOLPIX P520. In practice however, the Lumix FZ70 / FZ72 and PowerShot SX50 HS viewfinders are pretty closely matched in terms of the size and brightness of their viewfinders, with the Nikon COOLPIX P520’s looking smaller and not quite so bright. The FZ70 / FZ72’s EVF provides a reasonably detailed and stable image when neither the camera nor the subject are moving but, in common with the PowerShot SX50 HS and COOLPIX P520 things get a little jittery when panning or following moving subjects. One solution to this is to switch the Live view mode from its default 30fps refresh rate to the 60fps option. This results in a lower resolution display at double the refresh rate which produces a much more stable image, particularly when either the subject, the camera, or both are moving. Doubtless it will consume more power, but with a 400 shot CIPA rating you probably don’t need to worry too much and the improvement in the display quality (interestingly, the drop in resolution is barely noticeable) is well worth it. The headline feature of the Lumix FZ70 / FZ72 is of course its extraordinarily long zoom lens. 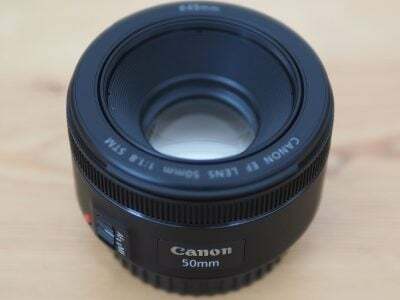 With an optical magnification factor of 60x the zoom has a 35mm equivalent range of 20-1200mm. Obviously a lens of this power is going to get you very, very, close into even quite distant action, but the FZ70 / FZ72 also has an impressively wide 20mm equivalent ultra-wide angle that surpasses anything available from the competition. 60x is the biggest range you’ll find on any super-zoom currently available, but the FZ70 / FZ72 isn’t the only super-zoom with a 1200mm telephoto, the Canon PowerShot SX50 HS can match it, so if it’s a long telephoto you’re looking for, the FZ70 / FZ72 isn’t your only option, there’s also the Sony HX300 and Fujifilm’s FinePix SL1000. But what all these models lack is the Lumix FZ70 / FZ72’s 20mm ultra wide-angle; the telephoto range is impressive, but the wide angle is just as exciting and not something you’ll find on other models. And if a 1200mm telephoto isn’t enough for you,the FZ70 / FZ72 is compatible with Panasonic’s 1.7x teleconverter lens accessory originally produced for the FZ100. With the DMW-L55E converter attached the FZ70 / FZ72’s maximum telephoto range is extended to a whopping 2,040mm. And, as with other FZ models there’s a range of digital zoom functions including I.zoom, Extended optical zoom and Digital zoom that can digitally extend the zoom. I.Zoom uses interpolation to double the zoom range, providing an effective maximum of 2400mm, at full 16 Megapixel resolution, the other digital zoom options provide reduced resolution results. The FZ70 / FZ72 is equipped with Power O.I.S image stabilisation which moves the lens elements to compensate for camera shake and permit hand-held shots at slower shutter speeds. To test the stabilisation I zoomed the lens to its maximum 1200mm focal length and took a series of shots in shutter priority mode at progressively slower shutter speeds first with the stabilisation turned off, then with it turned on. As you can see from the crops below, the Lumix FZ70 / FZ72 can shoot at shutter speeds as slow as 1/30 with the stabilisation enabled, a little over five stops slower than convention suggests is possible without it. 100% crop, 3.58-215mm at 215mm 100 ISO 1/30 O.I.S Off. 100% crop, 3.58-215mm at 215mm 100 ISO 1/30 O.I.S on. The FZ70 / FZ72’s mode dial bears a close resemblance to the mode dial on the Panasonic’s flagship super-zoom the FZ200 and the same goes for its shooting modes. There are some differences, there’s only one custom position on the FZ70 / FZ72’s mode dial not two as on the FZ200, and the Panoramic shooting mode introduced on the FZ200 gets in own dedicated position on the FZ70 / FZ72’s mode dial. There are of course the usual PASM and intelligent Auto exposure modes a single Custom position marked C, SCN (with individual scene modes selected on screen), Creative Control effects and Movie mode. Panasonic introduced Creative Control filter effects on the FZ47 / FZ48 and extended the range on the FZ150 with the addition of eight new options. The FZ70 / FZ72 adds a new one – Old Days, a variation on Retro, less warm and with a slight magenta cast, making fifteen in all. The full list is Expressive, Retro, Old Days, High Key, Low Key, Sepia, Dynamic Monochrome, Impressive Art, High Dynamic, Cross Process, Toy Effect, Miniature Effect, Soft Focus, Star Filter, and One Point Colour. Creative Control filters can be applied at the time of shooting or subsequently in the camera from the retouch menu. The latter route at least means you get the option of also having an original unfiltered image – if you shoot using the effect there’s no going back (unless you shoot RAW+JPEG). Though one advantage of shooting with the effect that you don’t get if you apply it post is the option to further refine it by pressing the thumb wheel and adjusting sliders for exposure, depth of field and effect strength. Most of the effects provide a degree of control over colour settings and focus and, as on the PowerShot SX50 HS, you can select the size and position of the focus zone in landscape and portrait orientations for the Miniature effect. Press the dedicated record button on the top of the FZ70 / FZ72 and you can start filming video with any of the effects applied live. The Miniature effect demands a degree of internal processing which reduces the recordable frame rate to around 3.5fps, but instead of showing jerky motion in real-time, these clips are simply played back around eight times faster than normal speed, which further enhances the effect. The Lumix FZ70 / FZ72 retains the 3D Photo mode which takes a burst of images while you move the camera around 10cm sideways, before automatically selecting two photos from the group and using parallax information to generate a 3D image. It’s a similar approach to that pioneered by Sony. Two files are subsequently recorded by the camera: a conventional two dimensional JPEG for normal viewing, and an MPO file which contains the depth information and typically measures around 2MB. When connected to an ‘MPO-compatible’ 3DTV over an HDMI connection, both files are interpreted into a single 3D image; through, unlike commercially produced 3D content, the images only contain depth which extends ‘behind’ the screen, rather than in front of it. The Lumix FZ70 / FZ72 also includes the FZ200’s Handheld Night Shot and HDR modes; both of these stacking modes set the ISO sensitivity automatically. I’ve included an example of the HDR mode above. The ISO sensitivity and other exposure settings are automatic and I’ve compared the HDR mode shot here, which selected 1/100, f2.8 200 ISO with a shot taken momentarily later in Aperture priority mode shot with exactly the same exposure.The HDR mode is a big improvement on the single frame Aperture priority shot with greatly improved shadow detail as well as improved three-quarter tones and highlights. You can see a 100 percent crop from Handheld Night Shot mode on my Panasonic FZ70 / FZ72 noise results page. The FZ70 / FZ72 also includes the Panoramic Shooting mode introduced on the FZ200 and replacing the earlier Panorama Assist scene mode which provided an overlay to help you line up overlapping shots for stitching later on a PC. This is still the best Canon can do, and the lack of a Panorama mode on both the SX50 HS and COOLPIX P520 is a disappointment. In similar fashion to Sony’s Sweep panorama feature included on the HX300, the FZ70 / FZ72 takes a sequence of shots as you rotate the camera to capture a panoramic scene and then assembles them in-camera to a single image. You can hold the camera in portrait or landscape mode, you have to specify which in advance. Finished panoramas are a maximum of 8000 x 1080 pixels if shot in landscape orientation and 8000 x 1440 for portrait. Providing you keep on turning and keep the camera reasonably level the FZ70 / FZ72 will record a complete 360 view. If you’re a little uneven, or the subject makes it difficult to record overlapping images it will stop part way through and produce a panorama from what it has managed to capture – or you can press the shutter a second time to finish at a particular point. All in all it’s very simple to use and produces very good results, although as you can see in my example above, there’s an abrupt change of exposure when shooting into the Sun. Given the similarity between the shooting modes on the FZ70 / FZ72 and the FZ200, you might expect the same goes for video modes, but that’s perhaps hoping for a little too much. As a video camera, the FZ70 / FZ72 actually has much more in common with the FZ60 / FZ62 shooting HD movies at 1080i resolution at 50 or 60 fps (from 25p or 30p sensor output) depending on region. There’s the option to encode movies as AVCHD files, in which case they’re saved in a ‘Private’ folder separately from the still image files, or alternatively using the MPEG-4 codec saved as a QuickTime .mov file along with the still images. Using either of the AVCHD modes you’re looking at about 120 Mbytes per minute of footage, and as usual, European FZ72 versions are limited to clips no longer than 29 minutes and 59 seconds. Having not tested the FZ70 version I can’t say if Panasonic has implemented the same restriction or allowed it to record until the memory or battery runs out, but I’ll report back when I have more information. If you’re using the MP4 format, the clip length is limited to 29 minutes and 59 seconds (or a file size of 4GB) regardless of whether you’re using an FZ70 or FZ72. Finally, Panasonic recommends using an SD card rated at Class 4 or faster for recording movies. Pressing the dedicated movie record button automatically sets the exposure for video recording, but switch the mode dial to the Creative Video position allows you to record movies in any of the PASM modes. What’s more, it’s possible to alter the aperture and shutter speed during recording, levels of control that are unusual in super-zooms at this price range. The Canon PowerShot SX50 HS offers only fully automatic exposure control or scene modes and the Nikon COOLPIX P520 is also restricted to fully automatic exposure. It’s a little disappointing, though maybe not surprising, that the FZ70 / FZ72 lacks the new High Speed Motion video modes introduced on the FZ200 and this is one area where it lags behind the PowerShot SX50 HS and COOLPIX P520, both of which offer high speed, i.e. slow motion video recording. All of these clips were shot using the Lumix FZ 70 / FZ72’s 1080i50 AVCHD mode. The video quality is good and the stabilisation does a good job during the pan. The AF also copes well, particularly during that long journey from the ultra-wide angle end of the zoom range to the 1200mm telephoto. But at the maximum zoom the stabilisation produces a horizontal shimmering effect which is really unpleasant. You can reduce it by not moving the camera, but that sort of defeats the point. A better option might just be to limit your video zooms to shorter focal lengths where there’s less of a problem. Stabilisation was turned off for this tripod-mounted shot. Aside from the severe flare at the beginning, the Lumix FZ70 / FZ72 copes well with the into light section and the exposure on this clip. There’s a barely audible buzz from the zoom motor and, once again, the continuous AF does a great job, especially during the zoom. At 1200mm you have to be really careful about movement, even with the camera on a tripod. The jitter at the end of the zoom in is purely from my finger resting on the zoom control, things settle down when I remove it. The Lumix FZ70 / FZ72 makes a good job of this interior low-light panning shot with a good quality low-noise result that maintains good exposure and AF control throughout. The colour looks a little desaturated, but the white balance is good and the stabilisation keeps things nice and steady. This coffee cup clip tests the Lumix FZ70 / FZ72’s continuous autofocus. With the camera zoomed in a little I’ve started shooting the close up of the coffee cup, then panned up to the bar and back again. To begin with the FZ70 / FZ72 performs well, though it’s a little slower with puling the focus back in on the first return to the cup. On the final pan back to the cup it fails to re-adjust the focus though. Finally, here’s an example of the Lumix FZ70 / FZ72’s Miniature mode in action with a 1 minute clip from 8 minutes worth of sunset played back at 8x actual speed. FZ models are swift starters and the FZ70 / FZ72 is no exception, it’s ready to take a shot in a little over a second after sliding the switch to the on position. Although the mode dial lacks the two custom positions of the FZ200 and FZ60 / FZ62, the FZ70 / FZ72 isn’t short on customisation options. The single C position on the mode dial offers the choice of three memorised custom setups via an on screen menu. So there’s only one fewer than on the FZ200, but you don’t have the convenience of being able to quickly switch between two custom settings using the mode dial. As on the FZ60 / FZ62, there are two programmable function buttons – the AF/AE lock button and the right button on the four-way controller. With the former configured as Fn1 you have a choice from three pages of functions you can assign to it including Photo Style, Quality, Metering mode, display guides, flash modes and Auto Bracket. The same goes for the Fn2 button. Of course the first of those is only an option if you don’t mind living without an AF/AE lock button. These customisation options reduce the need to access the menu navigation and when you do there’s the Q Menu, recently redesigned for the FZ series, which provides direct access to frequently used settings. Apart from looking slicker, with smaller high resolution icons, the layout has been revised with options for each menu selection running horizontally rather than vertically. The number of options on the Q Menu runs to one more than can be accommodated on the screen, which means you can’t see the final metering mode option until you scroll to it and it has a different layout from all the others. This inconsistency isn’t the end of the world but having to hunt for things on a quick menu sort of defeats the object and many people will to assume it’s not there and head for the main menu. As I mentioned earlier, the button layout is very similar to the other FZ models, but the larger size of the FZ70 / FZ72 means there’s more space between them and that makes it easier to find things without having to take your eye from the viewfinder. Speaking of which the provision of a button to toggle between the screen and EVF makes life a lot easier than on the PowerShot SX50 HS, where you have to cycle through the display options, or the Nikon COOLPIX P520 which only activates the EVF when the screen is in the closed position. The FZ70 / FZ72’s 1200mm maximum telephoto provides some challenges for those not used to shooting with long lenses. Keeping the lens steady at 1200mm is difficult, but not impossible so long as you have the stabilisation enabled. The Lumix FZ70 / FZ72 has four focus modes, 1-Area, 23-Area, AF Tracking and Face Detection. Face detection can detect up to 15 faces and lock focus on one of them. Multiple AF uses 23 areas to determine the best focus and there’s a single area AF option with a resizeable central AF area that can be moved around the screen. Manual focusing is selected by pressing the AF/AF Macro/MF button on the rear panel and then using the rear dial to adjust the focus referencing a scale on the screen which magnifies if MF Assist is turned on. One of the problems with this is that the rear dial has three functions and you must first select the one you want (in Program mode the choice is program shift, exposure compensation and manual focus) by pushing it inwards. Rather than showing the currently selected mode the screen displays the mode that will be selected if you push the dial, so (until you get used to it) you have go a full circle just to get your bearings. Like the FZ60 / FZ62 and FZ200, the Lumix FZ70 / FZ72 supports face recognition. Up to six faces can be stored along with name, D.O.B. and a custom AF icon. Focus and exposure are prioritised on recognised faces which can be registered manually, or you can set things up so that the camera automatically registers frequently shot faces. It’s a feature that’s popular on Panasonic’s compact range and undeniably great fun to see the names of people appear below their faces when they’re recognised. The Lumix FZ70 / FZ72 ‘s continuous shooting features are accessed by pressing the Burst mode button just behind the shutter release. There are three full resolution burst speeds available – 2fps, 5 fps and 9fps – all use the mechanical shutter and all but the fastest offer a continuous AF option. There’s also a 10fps option at reduced 3 Megapixel resolution. Why would you pay the price of drastically reduced resolution to gain just a single extra frame per second? Well, because the burst limit for the full resolution 9fps mode is a mere three frames, which really only just qualifies it as a burst when you think about it. Below I’ve included an example of the FZ70 / FZ72 operating at the best full resolution 9fps burst mode, as you can see, while the action is captured at a fast rate, the three-frame burst is so short as to be hardly worthy of the title ‘sequence’. To test the Lumix FZ70 / FZ72’s continuous shooting I fitted it with a freshly formatted 8G Sandisk Extreme UHS-1 card and set it to the best quality 16 Megapixel resolution and the fastest 9fps burst. The FZ70 / FZ72 fired off a burst of three frames at exactly 10fps. While no one would argue that 10fps is a very respectable continuous shooting speed to have at your disposal, the brevity of the burst severely limits its usefulness, allowing you to capture an action sequence lasting around a fifth of a second. And if you’re hoping for better performance at the slower continuous shootings speeds you’ll be disappointed. With the 5fps single AF mode selected the performance was similar – a three-frame burst in half a second, this time followed by a short pause and more frames at a significantly reduced rate of around 1fps. This performance is more or less in line with the FZ60 / FZ62 (though the fastest full resolution speed is quoted at 10fps, not 9fps) and just as disappointing. The one consolation is that the 3 Megapixel reduced resolution Hi-speed burst mode delivers the promised 10fps for a 100-frame burst. The PowerShot SX50 HS can fire a burst of 10 frames at a quoted rate of 10fps, but was closer to 14fps in my tests. That’s seven frames more than you’ll get from the FZ70 / FZ72, it’s still less than a full second of action, but a least you get a sequence worthy of the name. The Nikon COOLPIX P520’s Continuous H mode shoots a burst of 7 frames at 7fps, providing a sequence covering a second’s worth of action. 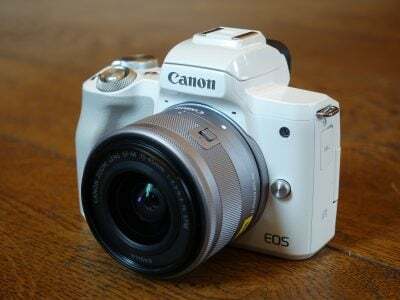 It has some other innovative and versatile options though, including a reduced resolution 3 Megapixel pre-shooting cache that starts recording at 15fps when you half-press the shutter. There are also reduced resolution 60 and 120fps options. The truth is, that while none of these models offer the kind of continuous shooting performance that you’d get with a mid-range DSLR, the Lumix FZ70 / FZ72’s is the least impressive of the three. The Lumix FZ70 / FZ72 has a newly designed 16.1 Megapixel MOS sensor that produces images with a maximum size of 4608 x 3456 pixels. Images can be saved as JPEG files at one of two quality/compression ratios; the best quality Fine setting produces images with a file size of approximately 5.5 to 7.5MB. Alternatively in a welcome upgrade over the FZ60 / FZ62 you can now record RAW files with or without a JPEG. The ISO range is 100-3200 with a High Sens scene mode that operates between 1600-6400 ISO and the shutter speed range is 4 – 1/2000. To see how the quality of the Lumix FZ70 / FZ72 measures-up in practice, take a look at my Lumix FZ70 / FZ72 quality and Lumix FZ70 / FZ72 noise results pages, browse my Lumix FZ70 / FZ72 images, or skip to the chase and head straight for my verdict.